H 31.5" W 48" D 14"
This table features a beautiful paduak top which is a rich red/brown color that in time will darken to a chocolate brown color. 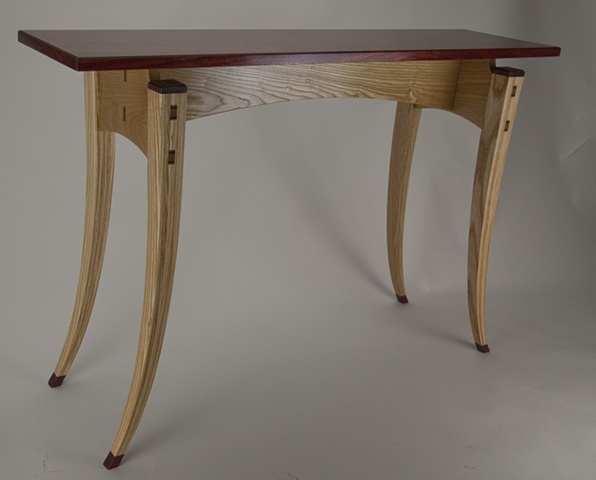 The legs are made from ash using a bent, tapered lamination technique. Through wedged tenons join the legs to the rails.